I have just read these two linked memoirs. 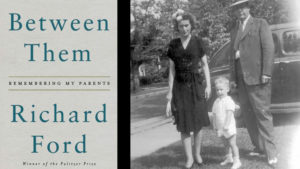 In discussing his memoir of his parents Ford specifically mentions the influence of his friend’s earlier book. Both are very strong works although maybe because of its particularly English subject and atmosphere the Morrison just shades it for me especially as my own parents both died of cancer. In describing that Morrison is accurate and heartfelt. Indeed so poignant is it that it made me look back at the impact of those events in my own life ( Morrison ends up in therapy). 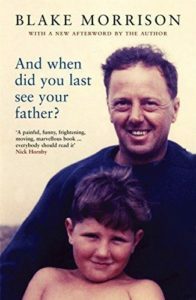 He also discusses the impact on his own writing and if I am honest the death of my mother in 2012 after my father’s passing in 2004 left similar holes…. It only now after another period of near-death experiences that I willing to also admit that it can have devastating psychological impact in all sorts of ways including creatively. Maybe that is why I turned to these books recently to see how other writers dealt with things.